Farmers in Kern County produce the vegetables, fruits, and nuts that feed the nation. I am committed to our farmers and will make sure that they have the necessary resources to not only feed the country, but to feed the rest of the world. Learn more about my views on this issue. The American spirit continues to be the most important factor in global commerce. However, Washington continues to burden American business with regulation while using taxpayer money to fund inefficient programs. We must slash regulation, increase transparency, and provide leadership to manage out-of-control spending and a staggering multi-trillion dollar national debt. Learn more about my views on this issue. The American education system must give our children the skills and knowledge they need to thrive in an increasingly competitive world. We must encourage our children to reach for their dreams, and we will continue to invest in our nation’s schools while remaining cognizant of the critical role parents play in the development of our youth. 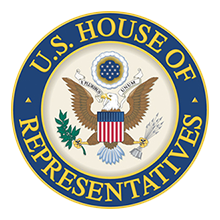 Learn about my work in Congress on Education issues. Kern County is one of the country’s leaders in oil and natural gas production. In order to reduce our dependence on foreign fuel, I will continue to fight for common sense solutions to meet our energy needs. Such solutions require that the United States promote economic growth by continuing to invest in domestic energy sources, especially those in California. Simultaneously, we must continue to develop alternative fuel sources that will produce new jobs for the 21st century. Learn more about my views on this issue. The United States faces many challenges in the world today. Congress must contribute to the crafting of an effective foreign policy agenda that defends our nation’s values, allies, and interests while remaining accountable to the American people. Learn my views on Foreign Affairs issues. America's families have reached unsurpassed levels of prosperity with ingenuity and innovation. However, Washington continues to operate under the faulty policy of throwing more taxpayer money at inefficient programs. American families should be able to make their own decisions regarding their health care. Market-based solutions encourage competition by offering a variety of affordable options to suit somebody's specific needs. We need to ensure the financial stability of Medicare so that American seniors continue to have access to the most modern medicine available. Learn more about my views on this issue. As a nation founded by immigrants, we should to continue embrace the hardworking individuals who come to the United States legally. However, we should not reward those who break our laws with amnesty. To reduce the preponderance of illegal persons, we must enforce existing immigration laws while simultaneously securing our porous borders. Learn more about my views. Congress must uphold one of its primary functions which is to provide for the common defense. We need to ensure that proper measures are taken to protect the lives and freedom during times of unconventional acts of terror. Our district is well engaged in protecting this nation as many of us work to make our nation strong and secure. Learn more about my views on this issue. Congress can make the needed reforms to Social Security to give our children and grandchildren a brighter retirement future. Under current law, our children will pay Social Security, but when they retire, the Social Security Trustees estimate that our children will not receive their fair share. Our district has been involved in space exploration for decades. I want to continue our involvement in this growing industry by easing the regulatory environment so scientists and entrepreneurs can focus on building the next spacecraft. Learn more about my views on this issue. The antidote for out of control spending and ballooning debt is not increased taxation. Rather, Washington must learn to do more with less by finding ways to operate more efficiently so that the American people can keep more of their hard earned money. We need a tax system that does not burden the middle-class and allows businesses to grow the economy. Learn my views on Taxes. Our country's infrastructure needs vast improvements in order to serve the people who rely on those roads. Improvements made to our roads and infrastructure not only increase safety, but provide jobs to our community. When taxpayer dollars are spent responsibly on transportation projects, our community's potential grows. Learn about my work in Congress on Transportation issues. Valley Fever is a terrible disease that affects many in our community. Through the Valley Fever Symposium and the subsequent test trials, we will find a treatment or cure for this disease. Learn more about my views on this issue. The brave men and women who currently serve and have served in the United States Armed Forces have made it possible for all of us in this country to prosper and live in freedom. We need to honor their commitment to this country by providing them with the extraordinary level of care they deserve. Learn about my work in Congress to support our Veterans. Learn more about my views on this issue.